It takes a special kind of person to become an owner operator, some drivers are okay with working for a company, but there are others who seek to remove the limitations of an employee salary and to switch to owner operator jobs. To become an owner operator, you need determination, learn about the trucking industry, make your own decisions and be good at what you do. There is nothing like enjoying what you do and on top of that getting paid to do it. This attitude will help you overcome any obstacles you may encounter in your career as an owner operator. Approach owner operator trucking as an entrepreneur. Contrary to a company driver, as an owner operator, you need to make choices that could affect or benefit your business on a daily basis. Therefore, do your homework and work on your financial and management skills so you can succeed as a business owner. Every industry has its set of rules and regulations, and an excellent owner operator abides by those standards. Foreseeing, planning, and budgeting are skills every person needs to hone to be successful in life. As an entrepreneur, you are required to use those skills at a higher level. Before making the decision to become an owner operator, there are few things you need to have in place. For example, having a reliable truck, adequate insurance coverage, a good credit score, and determination. Of course, different from a company driver as an owner operator you have to own a semi-truck. Also, you need to have adequate insurance coverage for your rig and any other type of insurance required by the company you lease to and by law. A good credit history is imperative when starting out as an owner operator. Therefore, you need to be aware if you have to work on repairing your credit history. Furthermore, last from this list of requirements, you have to be determined to change your mindset. You are not an employee anymore but an independent contractor. For some people, this is the hardest part of the transition. For others, it is the reason they are leaving a company behind. You will need determination in the face of adversity, especially in the first few weeks, or months when cash flow is at is lowest and expenses are starting to pile up. Learn to recognize the difference between determination and stubbornness; there is no need to put your family’s future in jeopardy. Be mindful that starting any business is tough, particularly in the beginning. 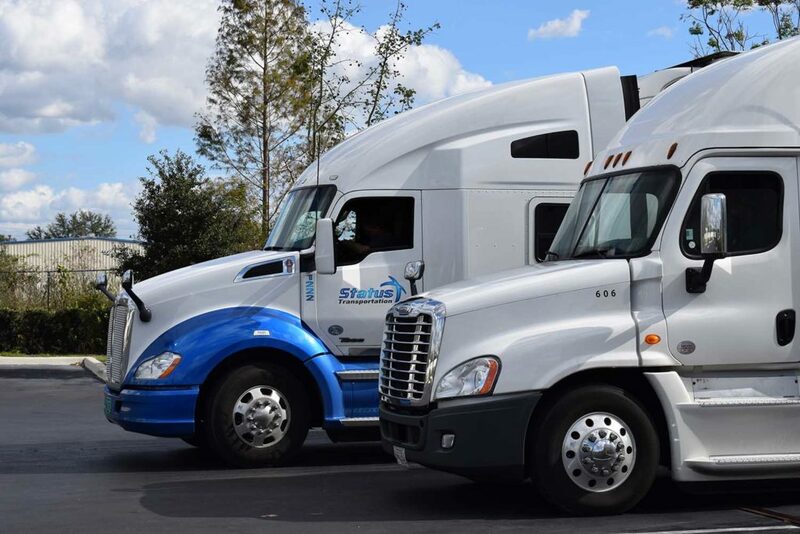 Before making a decision of leasing to a company, it is important that you think of the financial aspect of starting an owner operator trucking business. Being financially prepared will help you to smooth out the transition from being a company driver to becoming an owner operator. As a business owner, you need to be ready to deal with some expenses you did not have before like insurance, maintenance, repairs, fuel, driver salary, and taxes. Learning the ropes of being the boss will be a lot easier if you do not have to come to a screeching halt because of an unforeseen expense. Your owner operator pay will depend directly on your most valuable asset which is your semi-truck. Should you lease or buy? New or used? What about the brand or model? There are online forums with very useful information that can help you learn more about a particular brand, but the answer to this question will be unique to your situation, needs and business strategy. 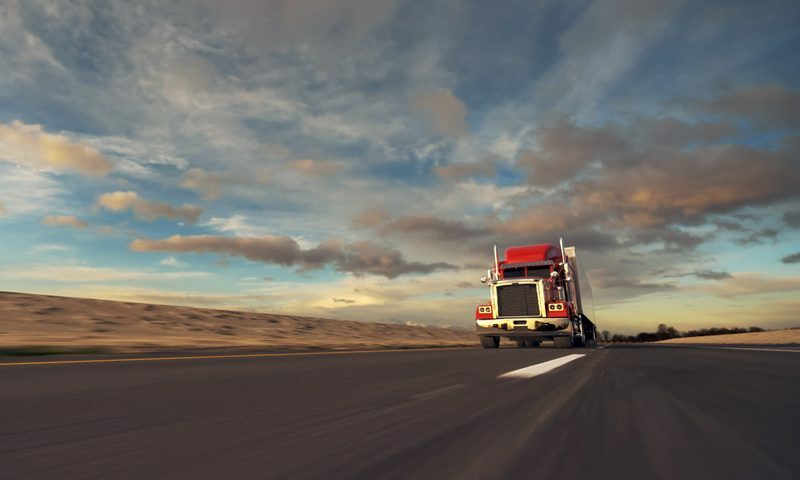 The following tips on buying a semi-truck will help you to make a better-informed decision. Whether you are purchasing a new or a used semi-truck, going with a dealer will almost always get you some kind of warranty. Dealers provide a limited warranty that can cover engine, transmission or axle repairs. These parts are the most expensive to fix in case of a breakdown, in particular, the engine. Also, a limited warranty does not cover any other type of mechanical malfunctions, which means you will have to pay out of pocket if something else breaks downs. Even when you are buying directly from an agency, it is a good idea to pay a mechanic to go with you and evaluate the semi-truck you want to buy. Buying a semi-truck from a friend or someone else will always be cheaper, but you do not have the peace of mind of warranty in case something happens, so you need to be extra careful. It is better to bring a mechanic with you and assure you are buying a safe and dependable truck. Take a test drive with your mechanic, have him do any necessary tests, do not rush into a deal, take your time. Also, it is a good idea to perform a dyno test ensure that the engine still has enough useful life left. Just like any other vehicle, the older the truck, the higher the risk for a breakdown. Watch out for semi-trucks that have close to 500,000 miles; usually, this is when the warranty expires. Right about when the semi-truck reaches 700,000 miles is when more the expensive mechanical problems start to come up. It is hard to put a definite amount on how much money you need to run your operation, but you need to have funds available whether in cash or credit to back up your business. These funds will come in handy for any unexpected expenses. For example, if you purchase a semi-truck, and the transmission breaks down, the cost to repair starts at around $3,000. So thinking you are going to start your owner operator business with $300 in your pocket is not realistic. 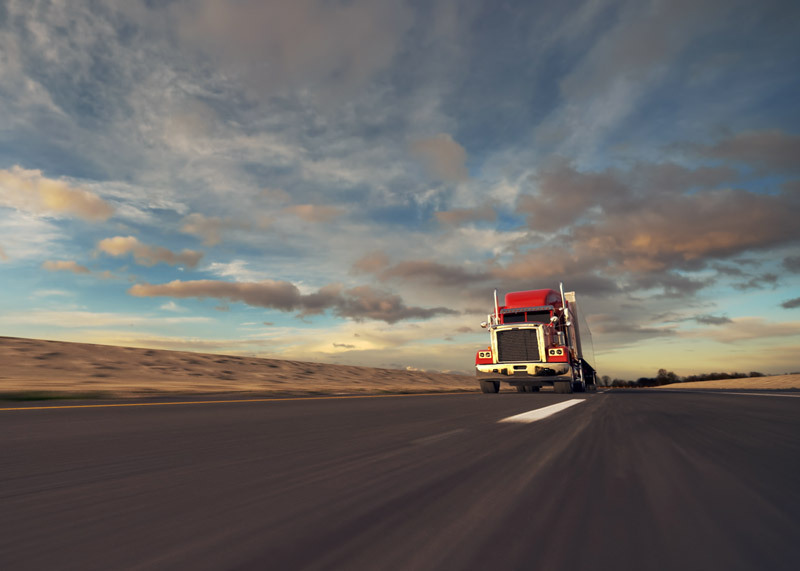 In particular circumstances, some trucking companies may advance your owner operator pay so you can cover the repair costs, but nobody is going to help if you if your truck keeps breaking down. When you are starting out, owner operator loads take up to three weeks before you can receive a check. So, you have to prepare for things like gas, food, and possible repairs, not to mention a truck payment if the truck is not fully paid. The amount of money you can make as an owner operator will depend on your individual strategy. As a business owner, it is a good practice to set a plan with clear goals that will help you to decide what is the best strategy for your business. A combination of external and internal factors will determine your income. External factors like market trends set the standard for load pay and gas prices. On the other hand, there are internal factors you can control that will define your potential income. An example of these factors is your driving area, the type of trailer you haul, the company you are leasing to among others. Even when you do not have control over diesel prices, you can apply some fuel management tips that will help you reduce your fuel consumption. Simple techniques like slowing down truck movements and choosing lighter cargo can have a significant impact on fuel consumption. Try not to accelerate too suddenly and also do not wait until the last moment to start braking before a stop; it is better to coast into it. Not accelerating quickly might sound like an obvious way to save fuel, but start practicing it and you will see an increase in your miles per gallon. By coasting into a red light from very early on you increase the chance that the light will turn green. This way you are not coming to a complete stop and do not have to rebuild your speed from zero. Don’t be too quick to jump on the higher load rates either. Some loads pay more because they require driving into mountainous areas. Also, some loads pay higher rates are because the load is heavier. If you have the option to choose between a 40,000 lb load and a 30,000 lb load with only a 5 cent per mile difference, you are better off with the 30,000 lb load, and you will save yourself some money on gas. The less you have to spend on fuel the more you money you can take home. As we mentioned before, taking good care of your rig will save you money. We cannot reiterate enough how important truck maintenance is for your business since having a reliable semi truckwill consequently turn into more income. Last but not least, the company you are leasing to can determine your success as an owner operator. Hence, it is important that you do your research and select the right company. A good company will become a strategic partner with which you can develop a long-term relationship that will help you to grow and expand your business. Switching continuously from one company to another will reduce your chances to succeed. As in any good partnership, you have to work on the relationship, adapt to changes, improve your process and evaluate results. Look for a leasing company where you can grow and prosper as a business. 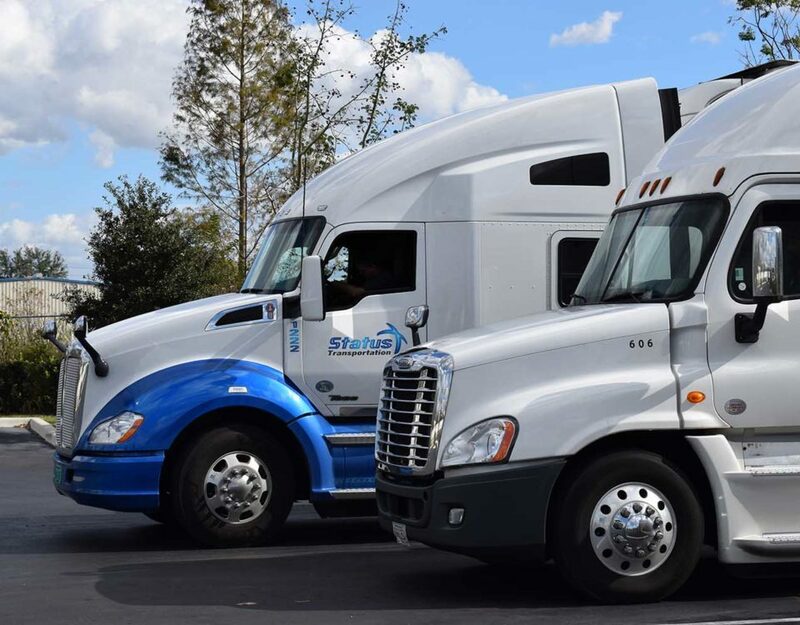 As seasons change and everyone is ready for a New Year, at Status we are also looking for new ways to improve the lives of our Owner Operators. For this reason, we would like to share a strategy that will help you to mitigate the winter season effects and maintain your current revenue level. Statistics gathered over the last 7 years show that the majority of Owner Operators tend to stay home during or after the holidays generating an immediate shortage of trucks in the trucking industry. According to our observations, the market continues to be busy from January 1st to the 15th. For this reason, we want to encourage you to take advantage of this momentum and get ready to start running the first days of January. We anticipate that Owner Operators who seize this window of opportunity will reap the benefits of their labor, therefore shorten the winter season.